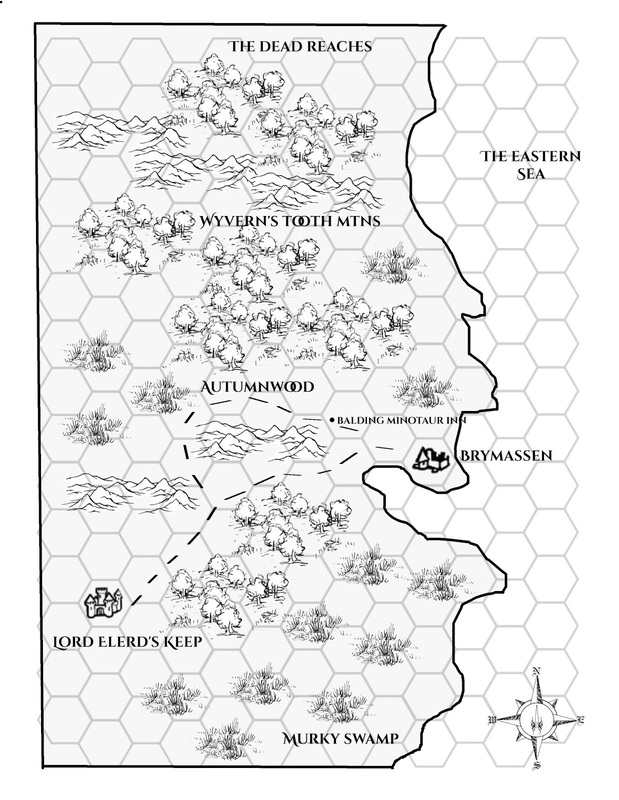 I decided to ditch the previous hex map as a hand out and just give the players this. 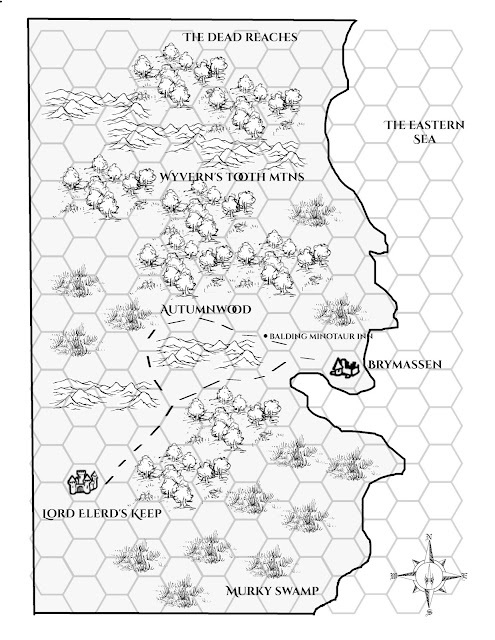 I used a mapmaker set from Arion Games - Download here. It's rough but will do the job for the time being. I was having all sorts of problems with GIMP this morning, and I don't know why. It's time for a restart me thinks! I'm already noticing some issues within the map. But good enough for now. Each hex is 6 miles on this. So it worked out that it took the PC's a day to get from Brymassen to the Balding Minotaur Inn. Speaking of Arion games, I notice they have a quickstart for Malestrom RPG. Going to check that out today.